Marc Lamont Hill is being silenced across the media and across academia for comments that he made regarding Israel. The crucifixion of Marc Lamont Hill is yet another example of the fact that we are in a Zionist world order. These are the same Zionists that control Black culture andare currently infiltrating Africa. But in the process of destroying our Brother, Zionists have revealed their hand, revealed their strategy, and raised serious questions that we should all be asking. Before you keep reading, understand that the term Zionist is used intentionally – Every Zionist is not a Jew, and every Jew is not a Zionist. Zionists use a clear cut strategy to silence any and all opposition to their agenda: label them Anti-Semites. This strategy has been adopted by all Zionist authorities around the world with what they call the “3D” test – three criteria that supposedly distinguishes legitimate criticism of Israel from anti-Semitism. Demonization – Subjective ‘demonization’ of Zionism is considered anti-Semetic. Zionists call even the most subtle of criticisms demonization and anti-Semetic. Double standards – When Zionists subjectively feel like criticism of Israel is applied selectively or unfairly, is considered anti-Semetic. Zionists dont like their dirty laundry being aired if others are not included in the criticism. and Delegitimization – When Zionists feel that anyone is questioning Israel’s right to exist as the sole power in the territories they have seized from the indigenous people of the region (the Palestinians), then the flag of anti-Semetism is waved. These three ‘Ds’ give Zionists a broad and wide range of behaviors that can be labeled anti-Semetic hate speech. However, none of Marc Lamont Hill’s statements fell within the realm of hate speech. After the incident, he clarified his statements via Twitter. Why Is Israel Starving Palestinians Out? So far it looks like Israel has everything it wants. Plenty of land. Leaders of the world kissing its ring. Nukes. A booming economy. Why would Israel want to inflict more suffering on Palestine by starving them out? 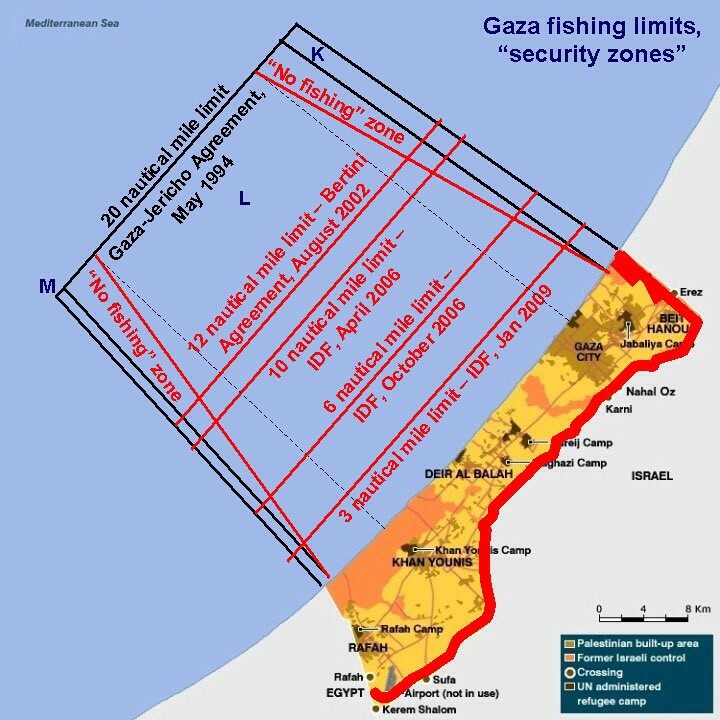 During peace talks back in 1993 called the Oslo Accords, negotiations resulted in Israel being obligated to let Palestinians fish up to 20 nautical miles out from the coast. That meant less food for the Palestinians. Combine that fact with the ever shrinking amount of arable land, and you have people on the brink of starvation. Between 1995 and 2014, arable land as a share of land area in Palestine was decreasing on average by 1.37 % each year, although before that, it grew from 16.6 % in 1965 to 18.4 % in 1995. So you cant fish. You cant farm. And the roads in are all controlled by your enemies. You might find yourself throwing rocks, too. Why Is Israel Arbitrarily Killing Palestinians? 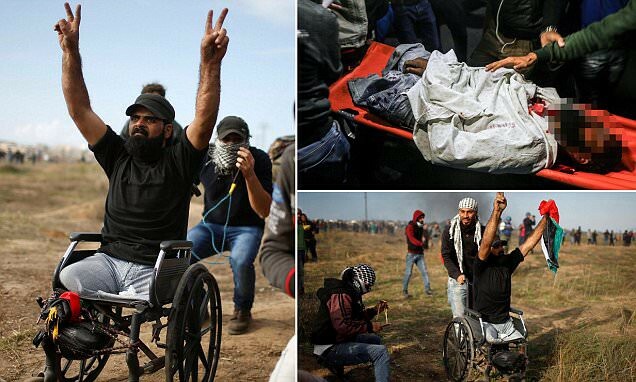 Just yesterday an Israeli sniper killed a well-known Palestinian protester who had no legs, no weapons, and was in a wheelchair. He died from a single gunshot to the head. Maybe I am misinformed about how snipers work, but dont snipers use scopes to aquire targets? So wouldn’t that mean this sniper would have known he was about to shoot an unarmed man in a wheelchair? Of course the sniper knew. And he didn’t give a damned. 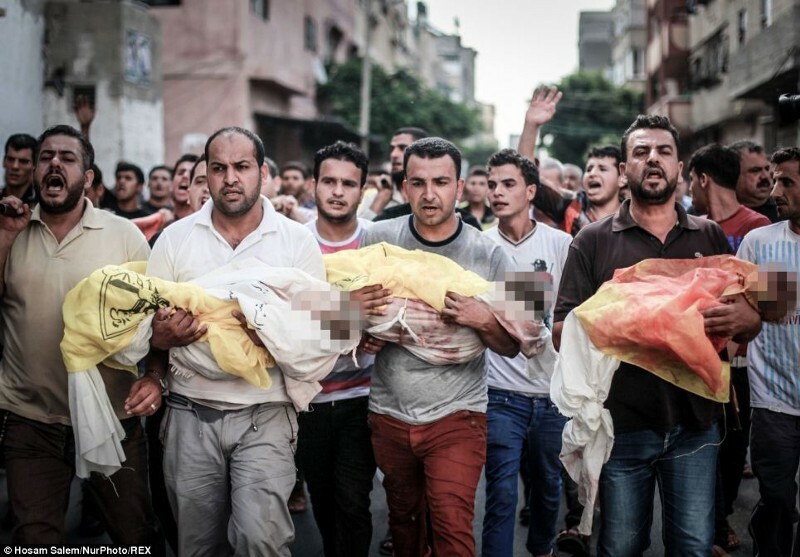 Murdering civilians is part of a strategy that the Israelis call ‘cutting the grass’. During the Oslo Accords it was agreed that the Israeli military would leave Palestine, but twenty years later Israel still has permanent military presence in more than 80% of the West Bank. From these permanent positions, Israelis have killed Palestinians for infractions that range from throwing rocks to (gasp!) carrying Palestinian flags. Some Israeli strikes target members of Hamas — a supposed terrorist group that lobs rockets across the border. But most of the attacks seem to be arbitrary: A local UN office estimated that up to 77 percent of people killed in Gaza are civilians. Even worse, there seems to be no limit to who Israelis would kill — the oldest known victim was an 81 year old woman, and the youngest was an 18 month old child. One Palestinian child killed every 3 days by Israel for 13 years. Why Is Israel Censoring Palestine? So Palestine cant fight back. They have no military. They are too hungry to sustain long term operations. And the rest of the Middle East is busy dealing with a metric F-ton of other problems. Palestine’s only other option is appealing to the humanity of the rest of the world. So the Boycott, Divestment, Sanctions (BDS) movement and similar organizations were created to pressure Israel to stop starving and killing Palestinians. They used both traditional and social media and public discourse to get the word out. Universities long hailed as bastions of free speech have shut down any activism on the part of Palestine. The University of Cambridge threatened to ban a meeting about the BDS movement unless the Palestinian academic chairing it was removed and replaced with its own choice. As of November of 2017, a final decision hasn’t been made. UC Berkeley administrators censored a student-taught course on Palestine. If the world is all about a ‘two-state solution’, why is only one state allowed to speak? Israel is not above reproach – no nation is. And rightly pointing out their injustices is far from hate speech. Marc Lamont Hill is being crucified, not for being anti-Semetic, but for exposing the true nature of the Zionist world order.